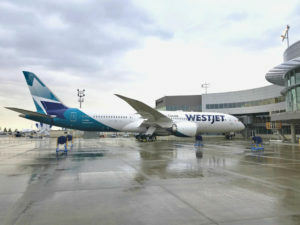 Boeing delivered yesterday the first of ten 787 Dreamliners to WestJet, marking the start of the airline’s global expansion. 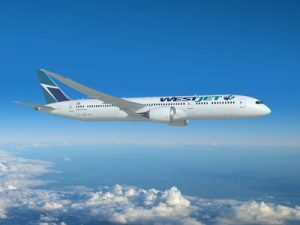 WestJet unveiled yesterday its new Boeing 787-9 Dreamliner livery, logo and cabin interior including the airline’s first-ever business class cabin. 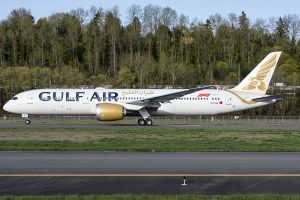 Gulf Air welcomed on April 27 the airline’s first Boeing 787-9 Dreamliner. The airplane also debuts the carrier’s new livery. 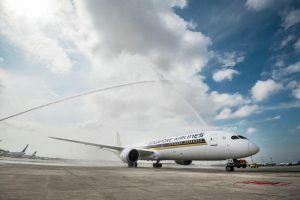 Singapore Airlines welcomed on March 28 the world’s first 787-10 aircraft as it arrived in Singapore from Boeing’s production facility in North Charleston, South Carolina. 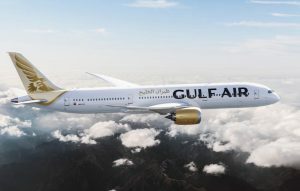 Gulf Air, the Kingdom of Bahrain’s national carrier, conducted a fly pass of its first Boeing 787-9 Dreamliner before the Formula 1 race on April 8, showcasing not only the airline’s newest aircraft but also the new Gulf Air livery. 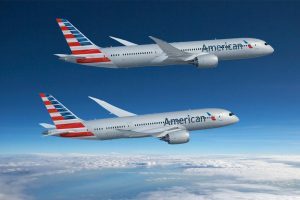 American Airlines announced on April 6 an order for 47 new Boeing 787 widebody aircraft consisting of 22 787-8s scheduled to begin arriving in 2020 and 25 787-9s scheduled to begin arriving in 2023. 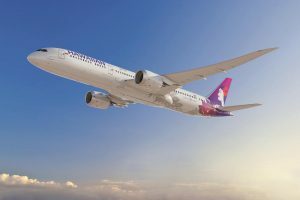 Hawaiian Airlines and Boeing announced yesterday that the carrier has selected the 787 Dreamliner as its flagship airplane for medium to long-haul flights. 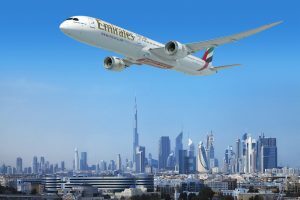 Boeing and Emirates, one of the world’s largest airlines, announced a commitment to purchase 40 787-10 Dreamliners at the 2017 Dubai Airshow yesterday. The deal, including airplanes and related equipment, is valued at $15.1 billion at current list prices. 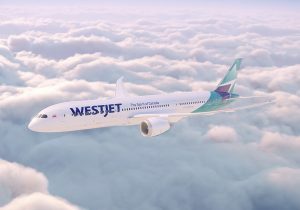 WestJet announced yesterday a definitive purchase agreement with The Boeing Company for up to 20 Boeing 787-9 Dreamliner aircraft. 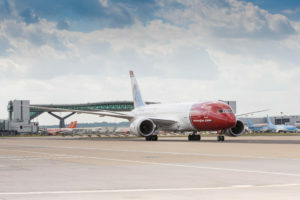 Norwegian will launch a new route from London-Gatwick (LGW) to Singapore this winter as the airline’s growing low-cost long-haul UK network expands into Asia for the first time.